With the Florida carrier board you can evaluate the capabilities of the Xilinx Zynq® based Miami System-on-Modules (SoM) in combination with a rich pool of peripherals. The setup helps you to kick-start your target application development giving access to the complete feature set of the Zynq processor in combination with the provided high-quality Linux BSP. 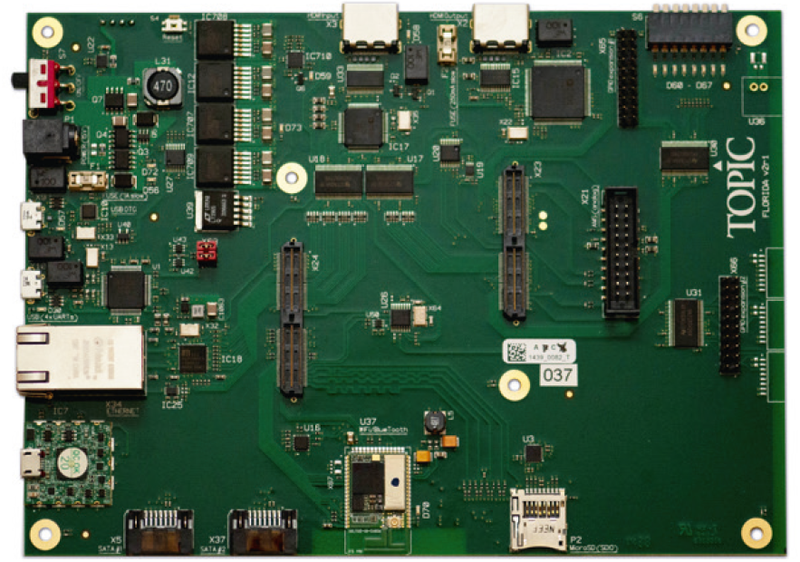 The interfaces on the Florida carrier board provide functionality for data acquisition, visualization, human-machine interfaces, communication and data acquisition. Using these facilities you are able to prototype your application in an early phase and validate the actual needs of your application. The Florida boards come with a reference schematic and printed circuit board layout which can be used to customize the board according to your needs and incorporating the Miami SoM. The basic Linux development environment is part of the Miami SoM, including the board support package. Additional peripheral drivers are supplied in a dedicated Florida support package. The Florida MED and GEN board support up to two SATA connections in parallel. 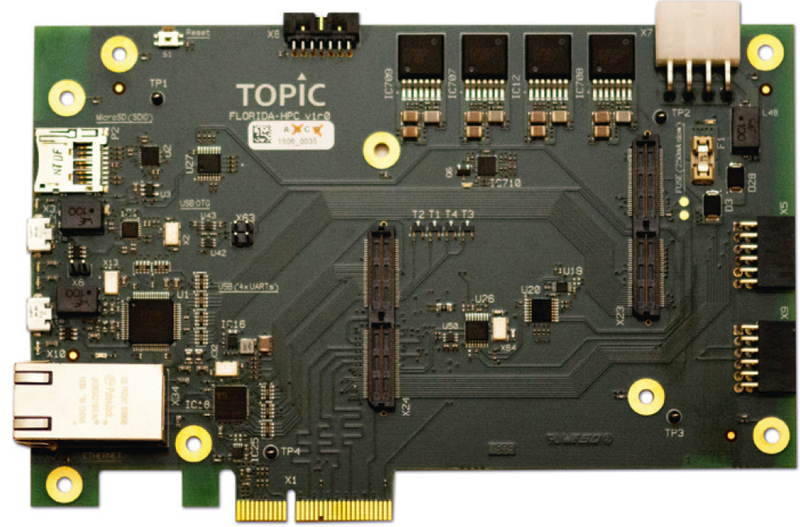 SATA-2 and SATA-3 connectivity is possible due to the use of the GTX transceivers of the FPGA. The PCI-Express interface can be used in 1, 2 or 4 lanes mode, where it also uses the GTX transceivers of the FPGA to achieve data rates up to 8Gbit/sec. The Miami system on module is an advanced, integrated, low-power industrial-quality module with Zynq XC7015 or XC7030, 512MB DDR3L RAM, 64Mb QSPI FLash, and NAND Flash. For further details, please visit our Miami Zynq Module page. Florida Carrier boards should be ordered alongside a Miami Zynq module which is not included. The GEN and MED versions of Florida are supplied with a suitable 15v PSU. The Li-Ion battery pack is optional. You can now order both modules and development kits via our online shop using the links opposite. Contact our experienced team with your detailed questions whether technical or commercial – we’ll be happy to help.